Unlike classic suits that emphasize the exact fit that makes up the body line, it is the overfit jacket which can enjoy with more trendy and romantic sensibility. We are prepared two diffrent style, single and double breasted. The single breasted jacket matches the narrow necktie to a retro semi-formal suit. For Off day, If you match it with like polo - T, T-shirt, and etc... you will be able to produce casual and wit. Pants are tucked style pants in front, there is a little extra space and a slightly longer length. Compared to the original pants, the front waist line comes up and has a little margin. The base length is an ankle length, it made the cuffs can be made by folding the hem slightly. * Jacket is the required, pants and necktie are the optional. 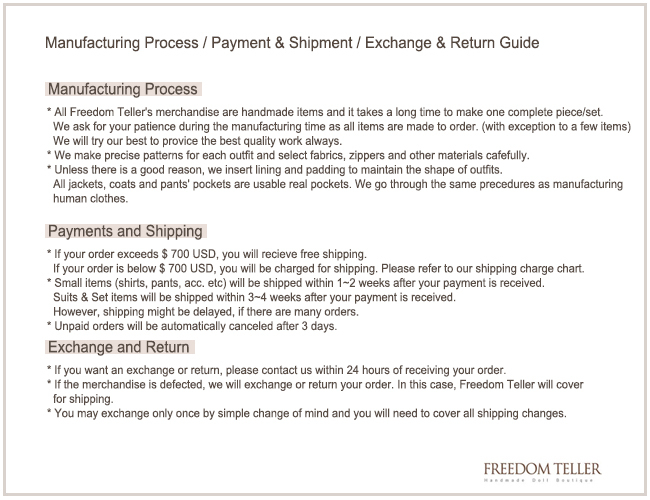 * When you select the pants from option, pants will ship the same color with jacket. Please select the size only! 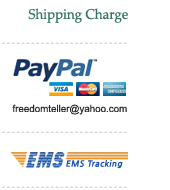 * If you want different color pants, please order the pants separately in the Bottom category. 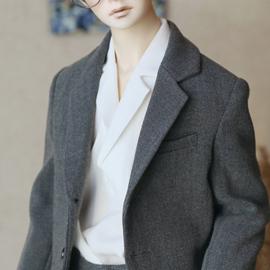 * Modeled on Volks SD17 and Luts SSDF Boy Body.